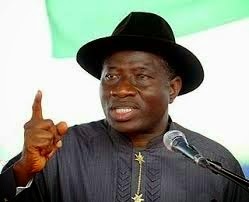 President Goodluck Ebele Jonathan on Monday said that he expects and hopes that Nigerians will no longer suffer discriminatory checks and stigmatization abroad. Speaking at an audience with the Foreign Ministers of Germany and France who called on him at the Presidential Villa, President Jonathan restated the Federal Government’s displeasure over the stigmatization of Nigerians by some countries after the Ebola virus entered Nigeria in July through a Liberian traveller. The President maintained that there was never any justifiable basis for the stigmatization of Nigerians since Ebola was rapidly contained in the country and never attained epidemic levels. He told the French Foreign Minister, Mr. Laurent Fabius and the German Foreign Minister, Dr. Frank-Walter Steinmeier that Nigeria will remain fully vigilant to prevent the re-entry of the virus because the Federal Government recognizes that the country will remain at risk as long as Ebola is active other West African countries or any other part of the world. Nigeria, President Jonathan assured the visiting Ministers,will therefore cooperate fully with other concerned nations to stop the current outbreak of Ebola in West Africa as quickly as possible. The Ministers told the President that they were in Nigeria to seek further cooperation with the Federal Government in the growing global effort to contain the current outbreak and continuing spread of the Ebola Virus Disease.